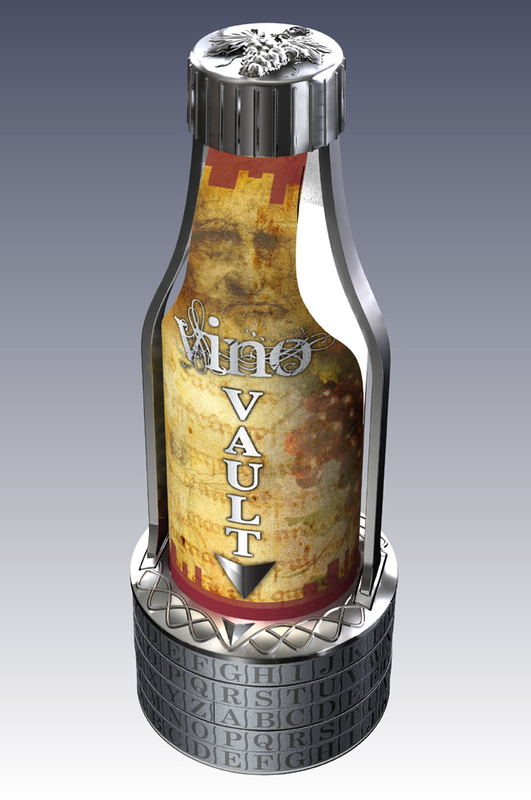 Vino Vault wine cryptex gives you the opportunity to give the gift of amusement, fun and adventure. Taunt them, tease them - send them off on your own customized treasure hunt with the goal of cracking your code after which they'll get the wine - a delayed gratification so to speak. You can choose to make the game last 5 minutes or 5 years – it’s entirely up to you. 1. Choose your own five letter code word. 2. Set up your new code in the vault. It’s fairly easy and we have easy to read instructions 3. Choose your bottle. (Maximum Bottle Size 298mm hight 83mm width). 4. Close and lock by shuffling the letters. 5. Give away as a challenging gift! This product was added to our catalog on 21.05.2012.